Public parking for the Cleveland Browns 2009 training camp will be available in the Baldwin-Wallace College parking lot located off of Beech Street near George Finnie Stadium. Public parking will be available in the B-W lot for open camp sessions from Saturday, August 1 until Wednesday, August 19 only. Beginning Thursday, August 20, public parking will be available at the St. Paul Lutheran Church (located at the intersection of Bagley Road and Eastland Road) and at the Station Restaurant (located at the intersection of Depot Street and Front Street). The Baldwin-Wallace lots are needed for the returning students beginning Thursday, August 20 and fans that try to park at B-W after that time will be denied access. Fans can call the Browns Training Camp Hotline at 877-6BROWNS (877-627-6967) for the latest on practice times. 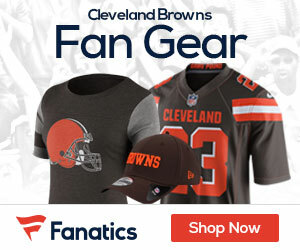 Fans can also get the most updated information at www.ClevelandBrowns.com and on Facebook and Twitter. Sat., Aug. 1…………… Morning Practice…………………………………………………………. 8:45 a.m. – 10:45 a.m.
Evening Practice…………………………………………………………. 5:45 p.m. – 7:45 p.m. Sun., Aug. 2………….. Afternoon Practice………………………………………………………. 1:30 p.m. – 3:30 p.m. Mon., Aug. 3…………. Morning Practice…………………………………………………………. 8:45 a.m. – 10:45 a.m.
Wed., Aug. 5………… Morning Practice…………………………………………………………. 8:45 a.m. – 10:45 a.m. Thur., Aug. 6………… Afternoon Practice………………………………………………………. 1:30 p.m. – 3:30 p.m.
Fri., Aug. 7…………… Morning Practice…………………………………………………………. 8:45 a.m. – 10:45 a.m. Sat., Aug. 8…………… Afternoon Practice………………………………………………………. 1:30 p.m. – 3:30 p.m. Sun., Aug. 9………….. Family Day Scrimmage at Cleveland Browns Stadium…………. 1:00 p.m.
**Practice end times are approximate.